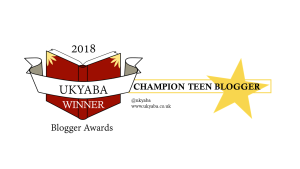 Today, I’m taking part in the Children’s Book Awards blog tour, and I’ll be giving some information about the Island at the End of Everything and sharing a quote from the author about what it means to her to be on the shortlist. Onto the post! #ArtieonTour : Author Interview with Robert J Harris. Today, I’m taking part in the blog tour for Artie Conan Doyle and the Vanishing Dragon, the second book in the series. I enjoyed the first last month, so I’m looking forward to getting to this, hopefully in the next few weeks or so. Onto the interview! Author goldenbooksgirlPosted on Mar 21, 2018 Mar 21, 2018 Categories author interviews, Blog TourTags #ArtieOnTour, author interview, Blog Tour, kelpies, MG lit, Robert J Harris2 Comments on #ArtieonTour : Author Interview with Robert J Harris. Today I’m going to be doing the Books and Colour Tag, which I was tagged for by Julia’s Bookcase. Onto the post! Today, I’m going to be talking about songs I like to listen to when I’m the angry sort of upset! Onto the post! F*ck You by Lily Allen– the cheery melody contrasts so much with the absolute hatred of the lyrics, and it’s incredibly catchy. The cheeriness of the chorus especially makes for perfect stealth anger humming! It’s also featured in Bridget Jones Baby, which I adore and was where I first heard it, so it cheers me up to remember the film as I listen. Today, I’m really excited to welcome the authors of the fantastic Witch’s Kiss trilogy, Kate and Liz Corr for an interview as part of their blog tour for the 3rd and final book The Witch’s Blood. Onto the interview! 1. To start off, can you please describe the trilogy in 5 words? Love, betrayal, friendship, siblings, witchcraft. 2. What served as your inspiration for the trilogy? Am I correct in saying that the books are loose retellings of different fairytales? Liz: There’s also a bit of Pride and Prejudice in The Witch’s Tears (in terms of Leo and Merry’s relationships with Ronan and Finn). The last book in the series, The Witch’s Blood, is the story that grew out of the first two books, but it also has hints of Rapunzel in there. 3. On that note, what are your favourite fairytales? Liz: Apart from those mentioned above, we both love Beauty and the Beast (no surprise there) and Snow White (that glass coffin!). Kate: I always liked Rose White and Rose Red, because for once it’s the brunette who gets the prince. 4. You collaborate on writing. How do you split the writing? Are there any main advantages or disadvantages to writing together? Kate: We always start with a very detailed plan so we’re both (literally) on the same page, though the plan alters as we write. We start off aiming to write alternate chapters, but this usually falls apart pretty quickly since we a) write at different speeds and b) start fighting about getting to write our favourite parts. Liz: Yeah, the disadvantage is that you can spend ages writing something then get up the next morning and find your co-writer has red-lined the entire thing and re-written it. *glares at sister* But there are way more advantages: by editing each other’s work we definitely save our editor some pain, plus there’s always someone else around who is keen to talk about our imaginary worlds. 5. Do you either of you have any unusual writing habits? Kate: I’m not sure whether this is unusual but I have to write in complete silence. My inner (stereotypical) librarian can’t cope if there’s the slightest bit of noise. This usually means Liz and I can’t be in the same room whilst drafting, since she’s a bit… chatty. Liz: I like to write in my PJs, with my favourite fluffy slipper boots on, for that little extra bit of comfort. But I don’t think that’s unusual. It’s not. Is it? 6. One of my favourite parts of your books are the characters. Who are your favourites, and who are you most like? Kate: Sporty?? *Nearly dies laughing* I love Merry (obviously), and I have a soft spot for Jack, particularly as he’s such a key character in The Witch’s Kiss, but I’m also big fan of Finn: his character definitely develops through the two books that he’s in. My closest character match… Liz is sitting here suggesting the two most evil characters in the books, but I think (hope) I’m closest to Gran. A bit bossy, a bit judgy, but fundamentally a good person. 7. Since you`re now at the end of your first trilogy, what have been your best moments of author life so far? Kate: Seeing our books in bookshops is always an amazing rush! The first time we saw one of our books in a window display was really special. I’ve enjoyed the events we’ve done too – having the opportunity to talk about your work is a joy. Liz: Getting an agent was hugely exciting – it was the start of what’s turning out to be an incredible journey. And getting our first piece of fan mail through our website from a young reader was unbelievable. We’ve also been lucky enough to receive some fan art – it’s brilliant to see your characters through someone else’s eyes. 8. Can you give any hints about what you`ll be writing next? Kate: We have a number of things on the go right now. Could be a middle grade in there somewhere, could be a high fantasy YA…. Liz: Definitely something involving magic. And given Kate’s tendencies, bad things happening to nice people! Liz: The Goonies – I always wanted to be part of their gang, discovering pirates and ‘rich stuff’ with them! 4. Disney character you`re most like? Liz: Cinderella (before the Prince turns up, sadly. I spend way too much time picking up after two small children and two cats and desperately need a holiday). Kate: Chocolate, or something which is mostly chocolate. NEVER vanilla. Liz: Cookie dough. I love the extra lumps of sugary goodness. Ordinary ice cream is just not sweet enough.